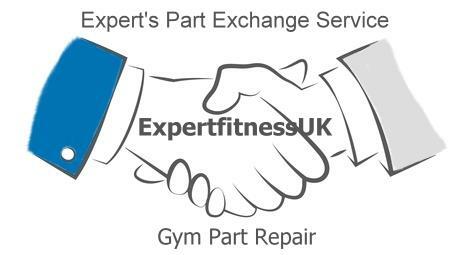 Welcome to Expert Fitness UK Gym Part Exchange Part Service conveniently named Service Exchange Parts. We recommend that you check back regularly to see what other refurbished gym spare parts we have added to our parts page. We offer Treadmill Roller Repair, Treadmill Motor Repairs, Bearing Replacement, Generator Brake Repair and much more... Whether you have the ability to replace gym parts yourself or whether you use your usual gym service engineer, by using our Gym Part Exchange Service you simply won't go wrong.